enjoy savings all year-round! find out about the market! work your network! give your opinion! get advice from bloggers! make doctors’ appointments! chat with the pros! find a property! find a car park! recommend pros! look up duty pharmacies! follow bloggers! explore Luxembourg! book a table! follow the pros! chat with your communities! check the weather! find the right contact! get good advice! get inspiration! find a job! check your horoscope! look up emergency numbers! prospect effectively! check out what’s on at the cinema! check traffic info! 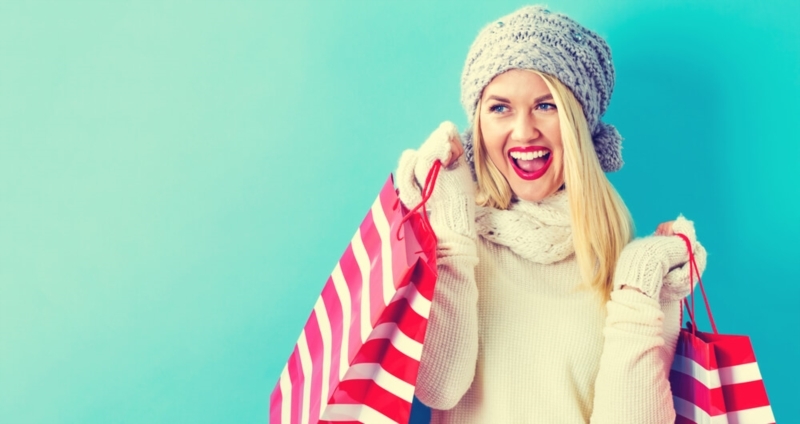 Notice to shopaholics: here are some clever tips for doing good business and successful winter sales, which kick off was given in Luxembourg on December 29th and will end on January 26th. From the first days, merchants in the country already had discounts of 30 to 50%, enough to renew your wardrobe at lower cost! If you are a frontier and have the habit of shopping on horseback between Luxembourg and France to find the best markdowns, take your precautions: the sales in the Grand Duchy last only one month, compared to six weeks in France. Before buying a lot of new clothes, take stock of the ones you already have. This will allow you to determine the new parts you really need. If your dressing room is packed with pants, shirts or skirts that you never wear, do agreat cleaning ! Take advantage of this moment to rearrange everything, and get rid of what you do not put anymore, find old-fashioned or no longer to your liking. When falling on a forgotten piece, if you hesitate to throw it or give it, ask yourself the following question: will I wear it in the next 6 months? If the answer is not a straight and massive yes, give it up without guilt, she would probably never be out of the closet. To avoid buying compulsively, make a list of items that you really need and have wanted for some time. Afterwards, walk around the shops to look and compare the products available. For clothes and shoes, if you have time, try them imperatively. Also inquire about the remaining quantities, as well as the prices charged before delivery, to be certain that they are really advantageous. After all this process, you will be able to make your decisions in a more serene way. To go shopping, do not slip into a tight dress and put on your heels 10 centimeters heels! Opt for a simple outfit, because it is well known, sales, it's sport ! Choose flat shoes and easy-to-remove clothes once you're in the fitting room. Bag side, bet on a model that you can wear over the shoulder, you will have free hands to rummage in the shelves. Go to the shopping centers and the most famous signs, but also to the shops a little more expensive than you do not usually go to, many parts are more affordable than normal. It is also the opportunity to discover new brands or showrooms of promising creators. Remember, before you rush to the stores, to build a road map . List all the places you want to visit, so you will be sure not to waste time by detour. To not be afraid to check your bank account the day after your trip, do not go hunting without knowing the amount of money you have . To avoid any unpleasant surprises, deduct already the fixed costs that you must assume during the month. A way to go shopping with peace of mind! In general, the new is always more tempting ... Do not fall into the trap! If you make the sales, it is to save, not to invest in clothes that you will be able to acquire a little later in the year. If you hate the crush in the shops and waste time in fitting rooms, catch your computer and sit comfortably in your sofa. You will be able to try what you ordered at home, quiet. Not insignificant detail: you can (most of the time) return the parts that do not suit you within a certain time, all for free. Want to splurge? Clothing , sports equipment to hold your new good resolutions or the latest phone , you will find your happiness on the web! This Sunday is the Freijoersshopping! Many shops will be open in the capital, in Ville-Haute and in the district of the Station, from 14h to 18h. The essentials for a successful eve party! The end of year celebrations and special occasions are special moments.